We started in the summer monsoon of 2013. Our aim was and is to be an art and craft programme that caters to the artist in everyone. Craft has played an integral role in our lives- as the enhancer of reasoning, judgement and problem solving and as the emotional healer. Many studies back our personal experiences with studies pointing to creative thinking as the pinnacle of cognition and the key to better emotional health. 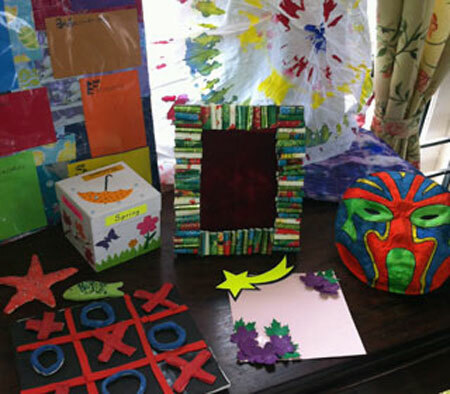 To facilitate this principle skill of creativity we produce thoughtfully planned craft kits that introduce new concepts and techniques while incorporating topics from Mathematics, Science, Social Studies and English for our school supply. The kits come complete with all the required materials and an instruction manual.